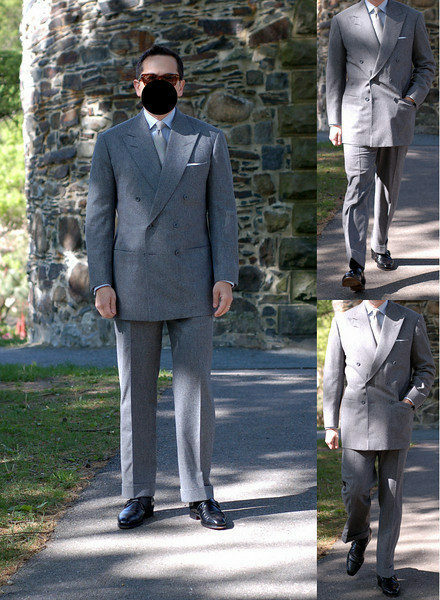 As some readers may know, I’ve been trying to persuade Steed Bespoke Tailors to come out to San Francisco for over six months now. Well a few weeks ago, they finally booked their first ticket, and are scheduled to arrive on Saturday, April 13th, and then depart Tuesday, April 16th. 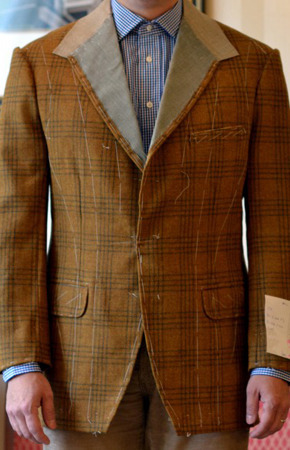 A little background on Steed and why this announcement is so special: Steed was founded in 1995 by tailors Edwin DeBoise and Thomas Mahon, who at the time worked as cutters at Savile Row’s Anderson & Sheppard. Thomas has since moved on to start his own firm in Cumbria, but Edwin continues at Steed. Before working at Anderson & Sheppard, Edwin received his training at the London College of Fashion and worked under the legendary Edward Sexton. 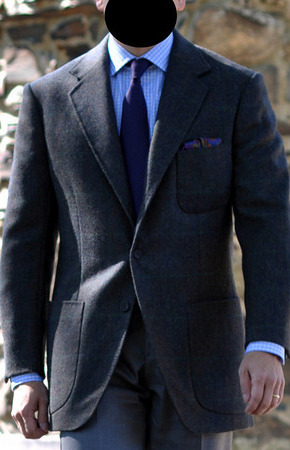 His tailoring style is very much informed by these experiences, and in my opinion, he currently makes some of the most beautiful garments in the world of classic men’s tailoring. Now, bespoke garments are expensive, and certainly not for everyone. However, if you have the money and are looking for something special (perhaps for a wedding or new job), this is a great opportunity. Steed cuts a unique style known as the London drape cut. Oversimplified, it’s designed with a fuller, more sculpted chest that makes the wearer look masculine, muscular, and comfortably relaxed. You can see this in the photos above, but if it’s not obvious, check out a post I wrote here, which highlights this silhouette a bit more clearly. 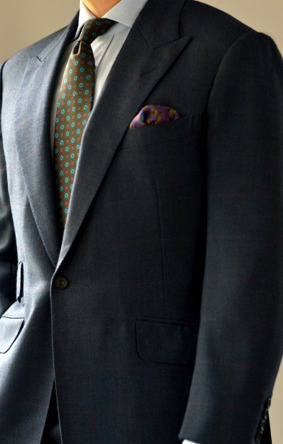 In addition to the signature chest, Steed’s cuts a soft, unpadded shoulder, slightly nipped waist, and high armholes. The effect is something very comfortable, and very stylish. 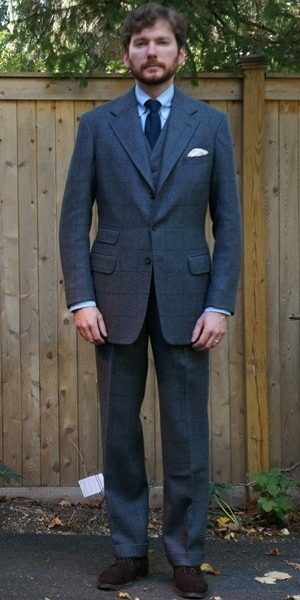 This being bespoke, you can ask for your commissions to be made in any way you want, but you’ll want to stick to their general house style (meaning, the soft shoulders and shaped chest). 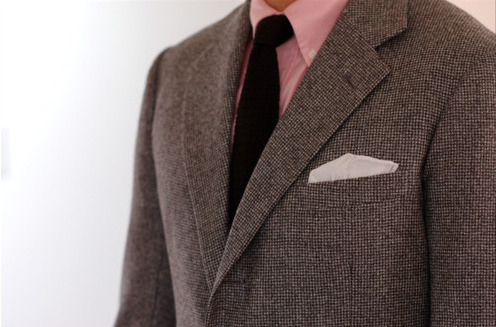 When choosing a bespoke tailor, it’s always wise to stay within the style they specialize in, and ask for little tweaks here and there, rather than request something dramatically different. It’s my hope to drum up enough interest in the Bay Area to keep Steed coming back. This is partly for my own selfish reasons, since I hope to use them on a regular basis, but I also think this is a rather special opportunity for people who live in this area. 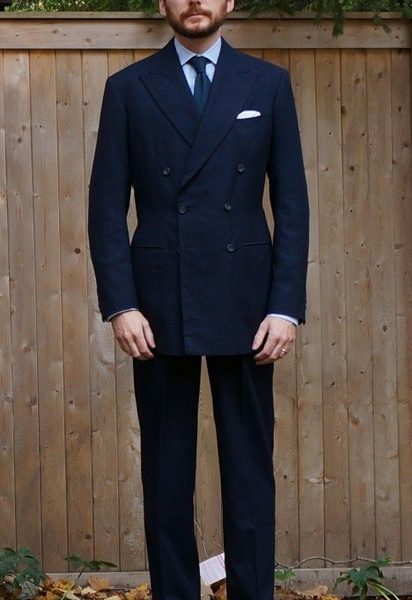 They’re less expensive than many of the Savile Row tailors who visit, and I think they cut a very unique and beautiful silhouette. Since Put This On has a rather big audience, I’m happy to help answer any basic questions if you email me, but will refer you to Steed for anything complex (I just don’t want them to receive a hundred emails in the middle of their workday). For booking appointments, however, you should just directly contact Steed.